Growing up in "Almost Heaven"
I grew up in the great little Mayberry-esque town of Glen Dale, WV, which sits along the Ohio River (I can see the state of Ohio from the hill on which I lived) between Wheeling and Moundsville. It was an awesome place to grow up as a kid and my parents still live there. Although the population of Glen Dale is only around 1500, it is interesting to note that two country music stars came out of our little town. 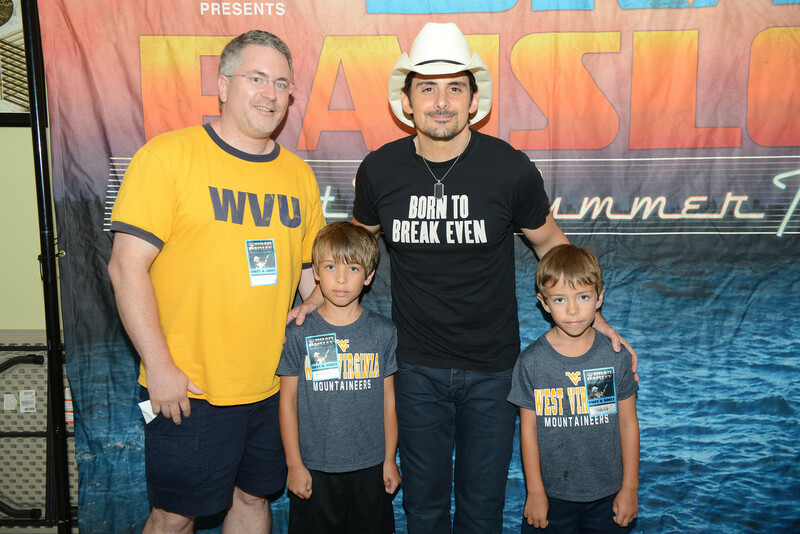 One of the cool things about going to Linsly (then, an all-male private school that I attended) is that I got to ride to school every day with country music star Brad Paisley, who also grew up in Glen Dale and went to school at Linsly. There must have been something in the water because I grew up 4 houses from country star Lionel Cartwright. Anyone who has ever heard me try to play guitar knows that this Glen Dale water must have lost its magic by the time it made it to my house! 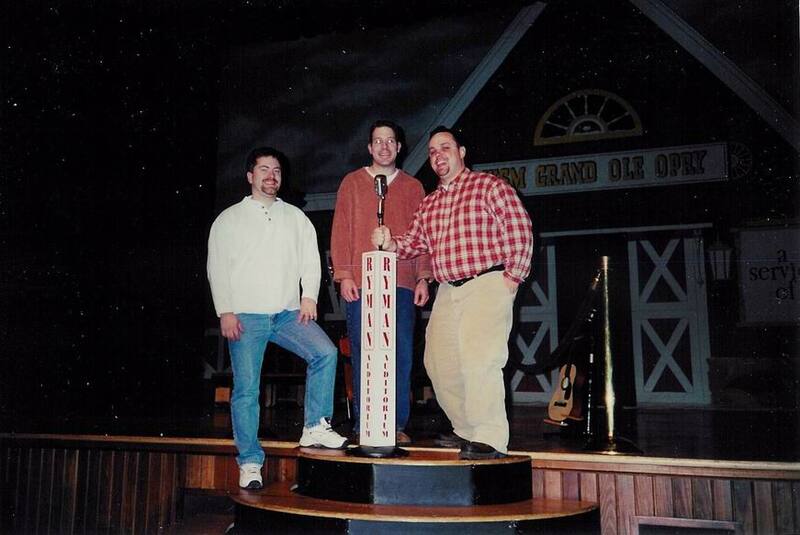 Some pics of Brad and Lionel can be found below... By the way, I was able to get one foot on the stage of the Opry while I lived in Nashville! I am not a big fan of Lady Gaga, which likely shows I am out of touch and growing old. But, I did find it interesting that her mother grew up in Glen Dale and that Lady Gaga's grandparents still live there. Additionally, Lady Gaga's grandfather was at one time my parents' insurance agent. Jimi Hendrix's longtime friend and bassist for several famous songs was Billy Cox, who was born in Wheeling. My oldest son Alex and I got to meet Billy at an Experience Hendrix concert. See the "Famous People" section below for a photo. Hall of Fame Baseball player George Brett was born in Glen Dale. 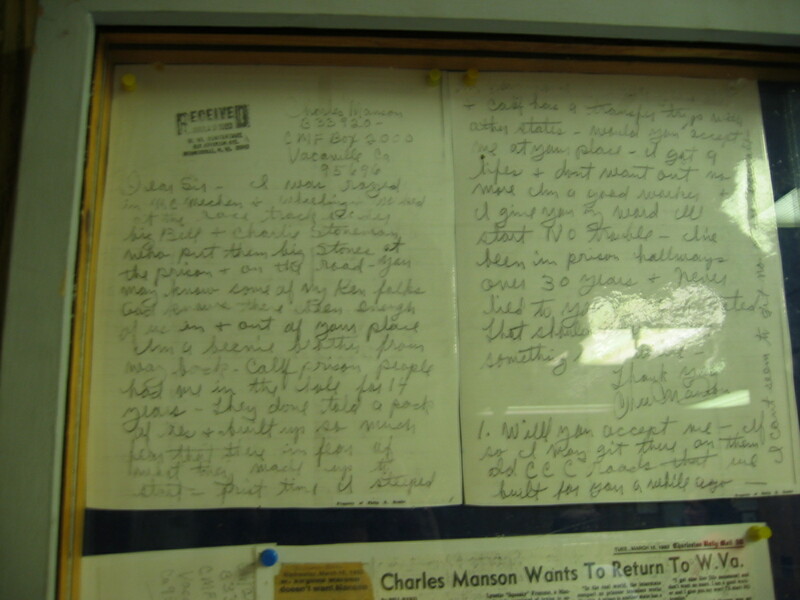 On a negative side, Charles Manson was raised in the small neighboring town of McMechen (check this out). I have heard rumors within my family that they remember him knocking on my grandparents door selling something for a fund raiser. The best pizza in the world, in my opinion, is DiCarlo's pizza in Glen Dale. The very first thing I do when I get into town is head down for a few slices. If you ever make it to northern West Virginia, visit Glen Dale and get some DiCarlos! You also might want to see the following places. For over 130 years, the state prison of West Virginia was located in Moundsville. The prison was shut down in 1996 due to poor conditions. Now, there are daily tours of the prison that can be taken. At Halloween, the prison is converted to a first-class haunted house that has been featured on television programs. 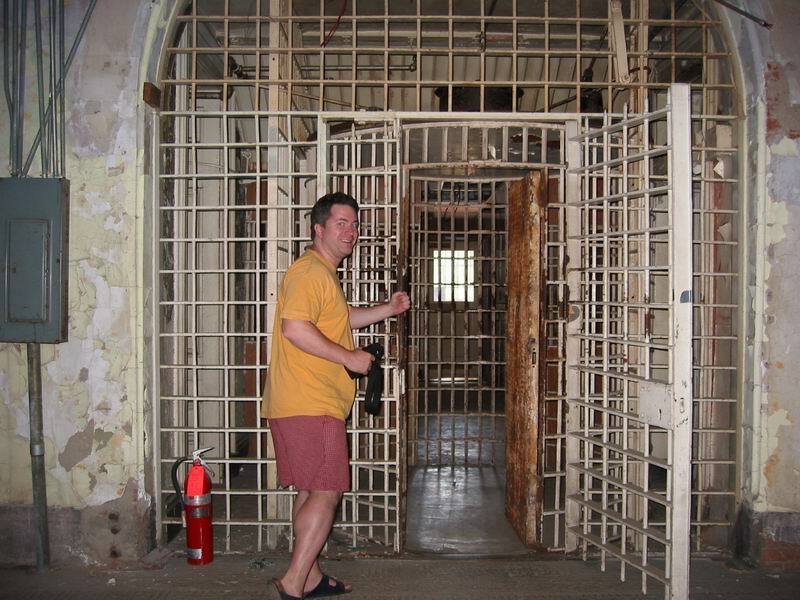 I have visited the prison on several occasions after it shut down. When I was growing up, my summer job was to mow the grass for my Dad's apartment buildings. One of these buildings was about 15 yards from the east wall of the prison. There were several jailbreaks from the prison over the years, and I used to keep one eye on the lawnmower, and another eye on the wall in case anyone came over! 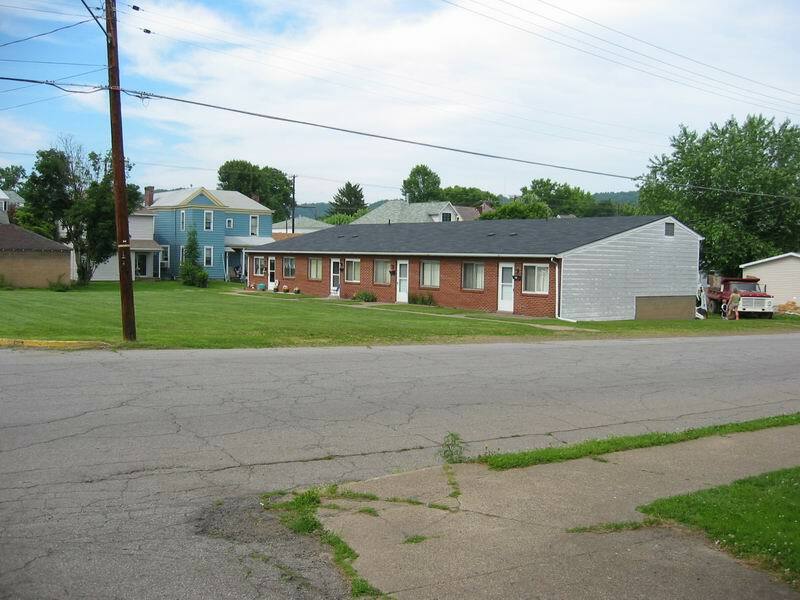 To show how close the apartments were to the prison, this picture was taken from within the prison truck gate looking across the street to the apartments. 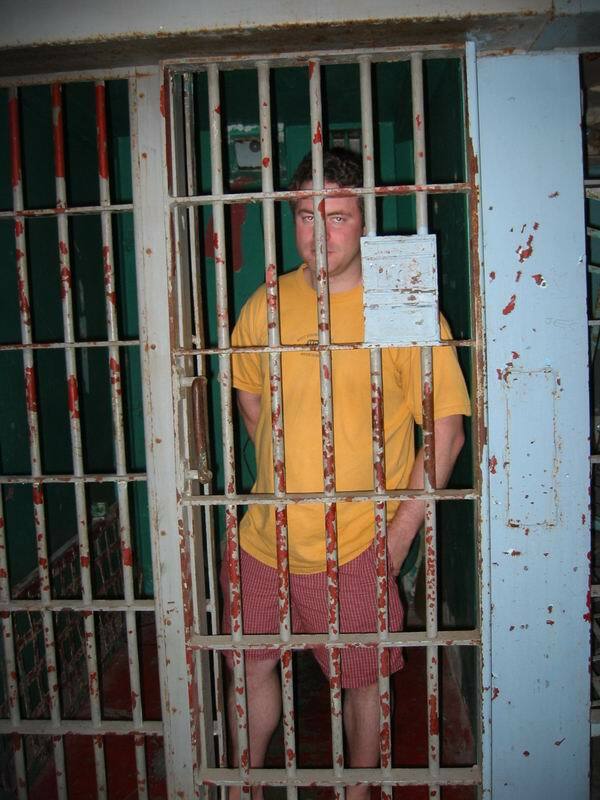 After being confined in this prison, I was ready to take a chance on a jail break! This photo from inside the prison is interesting, considering where I work. 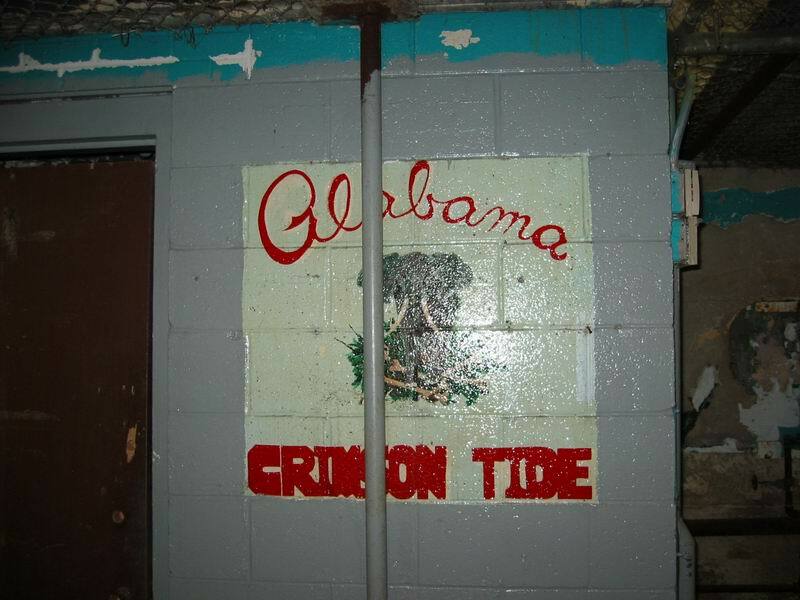 It shows there are Tide fans all over the country! 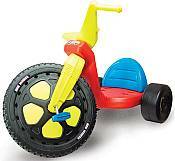 Did you have a Big Wheel when you were a kid? If so, it was probably made in Glen Dale at the Marx toy plant (my Dad worked there when he was younger). Growing up, Marx toys used to always have an annual "Big Wheel Race" that was always a lot of fun to compete in. There is now a Marx Toy Museum in Moundsville. Many of my Indian friends are familiar with the Palace of Gold. The Palace is located "out in the country" hills very near where my grandparents lived. It is an awesome sight to be driving out among the ridges of Limestone and to come upon this huge palace made of gold. For a long time, the Hare Krishna movement in the USA had one of its strongest communities located here. Below are some general links to family-related information. 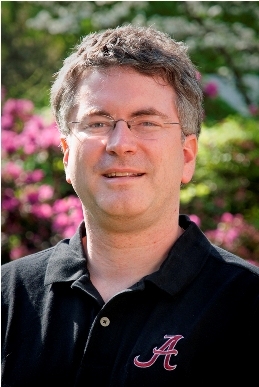 Photos of the Gray family (Jeff, Marla, Alex, Ty and Paige) are available here. Marla and I got married on July 15, 2000. We have some photos and videos on the web from our special day. Click here for more info. We have a baby in our family, but not the human kind. We have a cute little Pug. Click here for pictures of the Puggles. Since our wedding, Marla and I have lived in Nashville (TN), Gardendale (AL), and Tuscaloosa (AL). Below are some general links to photos taken at various events. 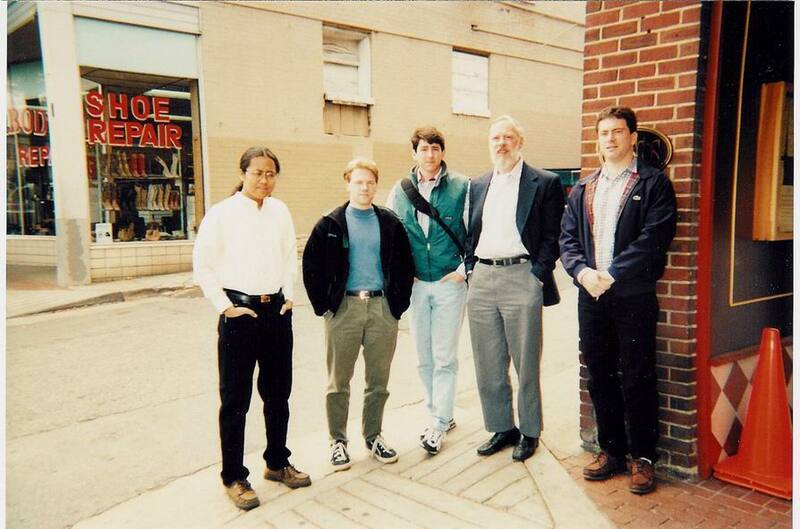 In August 1993, I decided to move to Nashville to pursue my dream of getting a Ph.D. at Vanderbilt. Coincidentally, Brad made the commitment to move to Nashville that same month to pursue his own dream. That provided some great opportunities for me to watch his star rise. 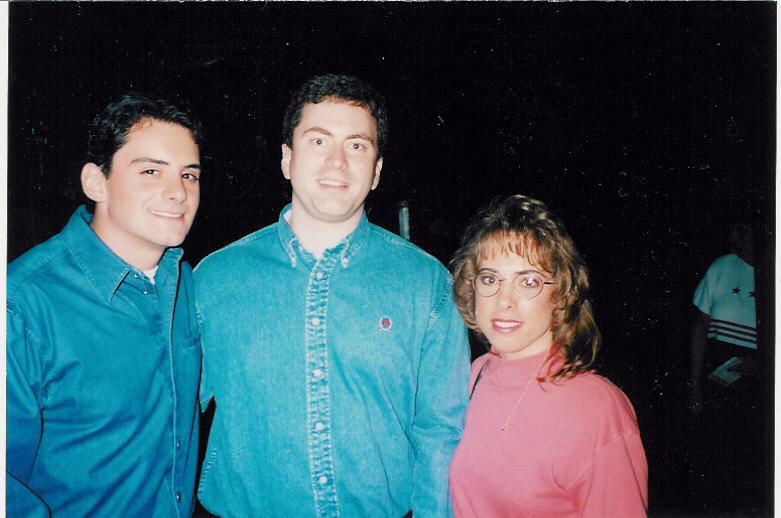 Here is a pic from May 28th, 1999 - it shows me and my wife Marla back stage at the Grand Ole Opry during Brad's very first Opry appearance. 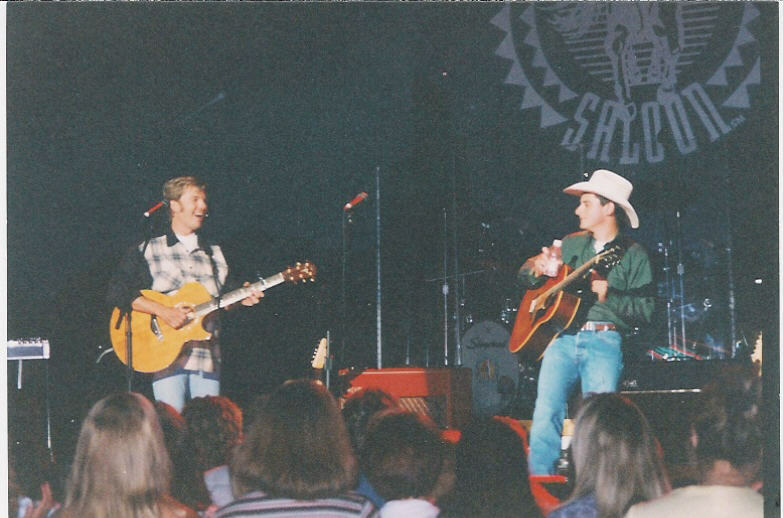 Here is a pic of Brad and Lionel playing together on stage at the Wild Horse during June 1999. Here is another pic with Brad at a party. 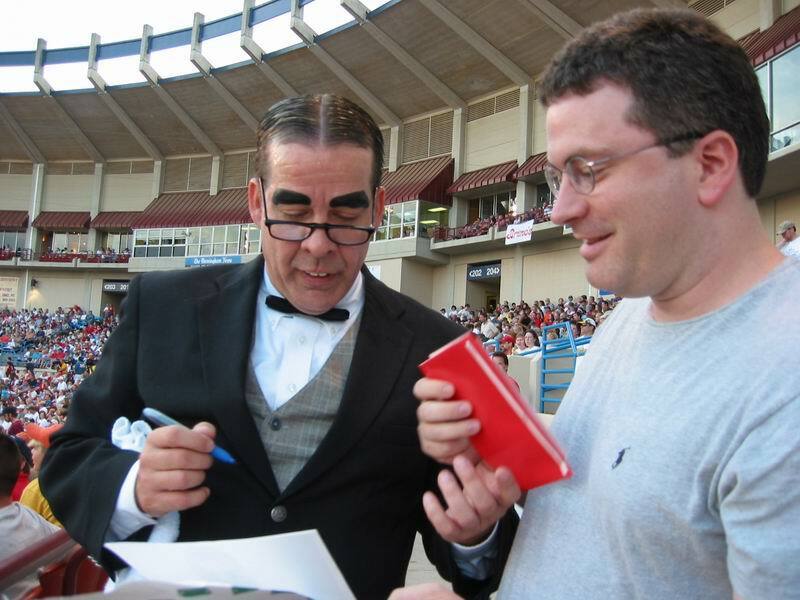 My boys and I got to meet both Brad (photo here) and Doug back stage at a concert in Tuscaloosa in 2013. 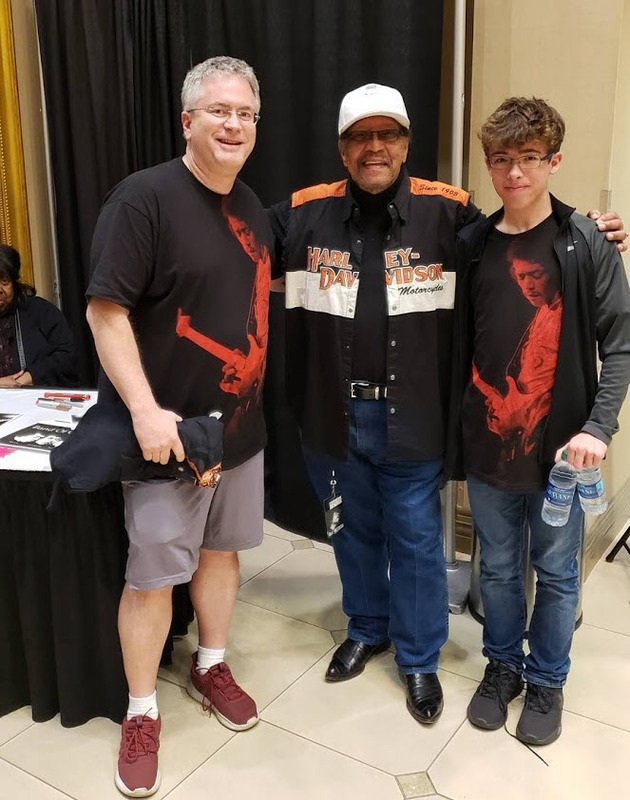 On March 11, 2019, my oldest son Alex and I met Billy Cox at the Experience Hendrix concert in Huntsville, AL. Billy was also born in Wheeling and was the long-time friend of Jimi Hendrix (and played as Band of Gypsies). It was Billy who appears on the Woodstock session with Jimi (video here). We were able to get a photo with Billy at the concert (photo here). 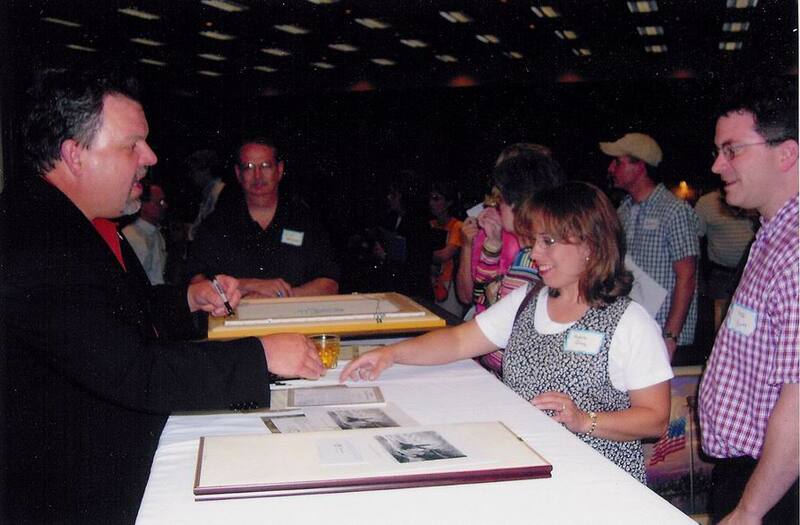 Marla and I met Thomas Kinkade at a special event in Birmingham on April 24th, 2004. Thomas gave an awesome talk and met with everyone individually. We were able to have him sign the certificates for our paintings. Marla and I met Tait while at the airport. Click here to see our pic with them. 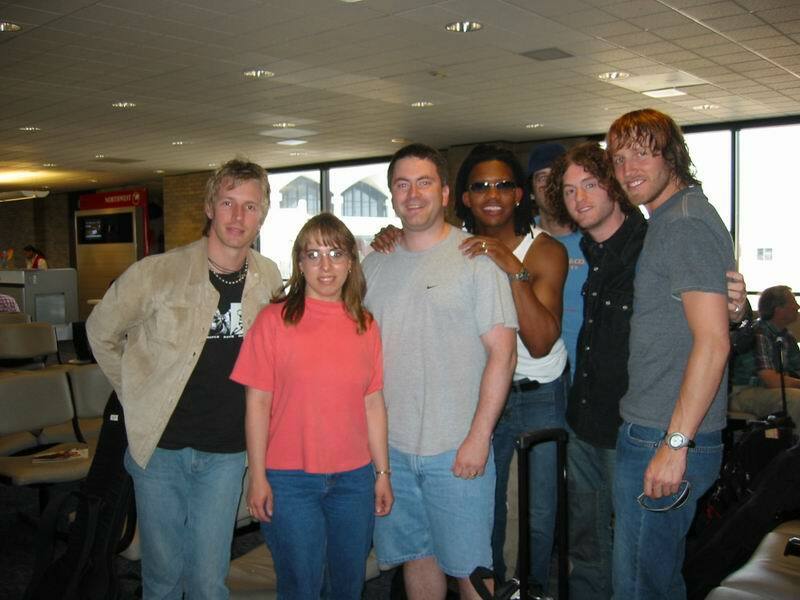 A cool thing is that we saw Michael Tait a few times at the gym we used to go to near our house. One of the guys there knew him and I was able to surprise Marla by getting Michael to walk up behind her and start singing. She was so excited because she had attended dcTalk shows back when they first started. My whole family loves to watch Myron Noodleman at the ballpark. We try to go to every event when he is in town. Here is a pic of me and the nerd. We are now worshipping with the Northwood church in Tuscaloosa where I serve as a deacon. We previoulsy attended the Gardendale church when we lived in Birmingham. Back in Nashville, we were assembling with a great group of Christians at the church in Brentwood. At Brentwood, I had some unique opportunities (and a fair share of interesting stories) to help with the weekly work at the Riverbend Maximum Security Prison, and the Brighton Gardens Nursing Home. WARNING: This section is very geeky. In fact, I will no longer maintain the history page referenced below. For a historical/reflective look at the computers in my life, please click here.